The school year is upon us, folks! As some of us gear up to get our kids ready again, let’s sharpen our structure skills with this past post on traditional story plotting. As I challenge the K-8 students in my library to be writers, I’ll be encouraging them to give this a try, too! As writers, we are the teachers grading our own papers. Constantly. It’s hard to know when to STOP grading. Outside of writing, teaching is an actual profession for me. It tends to leak into every aspect of my life and it’s hard to shut off that part of my being. On one hand, it can make me a crazy perfectionist. On the other hand, it can help me fine-tune my writing in simple ways that even make sense to children. Today my goal is to offer a primary teaching tool that will shape your writing from the start. Whether you are a “write first and deal with the results later” type of writer, or a “plan it first and then write” type of writer, this simple tool will work both ways. Let’s journey back to first grade and reveal the basics. I write children’s picture books, so first grade works well for my format. Since we are laying foundation basics, this can be applied to novel writing, as well. BUT= But, there’s a problem that prevents him/her from having what they want. 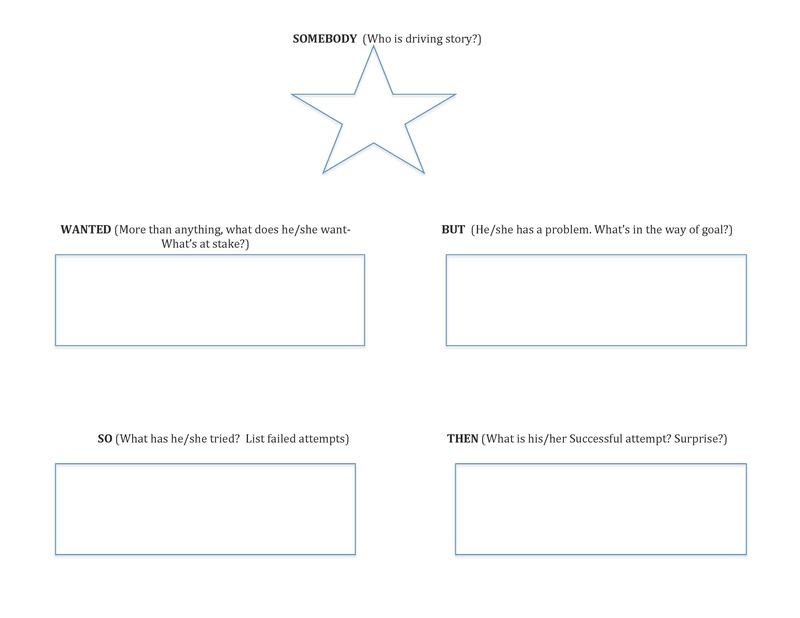 SO= So, your main character tries three things to solve the problem. Each attempt is crazier than the prior, in order to give your story the rising action it needs. Unfortunately, these three attempts fail and your character reaches a low point. So, he/she needs to come up with one more biggie that allows him/her to be successful. THEN= Then, your main character is able to achieve what he/she wanted in the beginning. There is usually a surprise right here. In order to see this in action, let’s analyze one of my favorite picture books. BUT a mouse interrupts him by coming into his house. THEN Bear allows mouse to stay for tea and cheese IF he agrees to leave right after. They enjoy their snack and as promised, mouse begins to leave. Surprisingly, Bear finds he likes the companionship, invites Mouse to stay, and a grand friendship begins. Isn’t this a lovely little tool? Once upon a time, it helped my first graders, so I know you will work wonders with it. Whether you are the one writing or helping to critique someone else’s, I hope this primary teaching tool enhances your foundation and shapes your story into something spectacular. It really helps identify plot issues. Don’t be afraid to analyze a few of your favorite books with this tool. It really sinks in when you see it in action. Was this post helpful? Refer back to Part Two to Summon your inner Elementary Teacher and Part Three to Summon your inner Middle School Teacher. In the comment section below, feel free to add your favorite picture book analysis with us or let me know how the primary tool helped with your own WIP. Really like the somebody, wanted, but, so, then idea. Great idea. 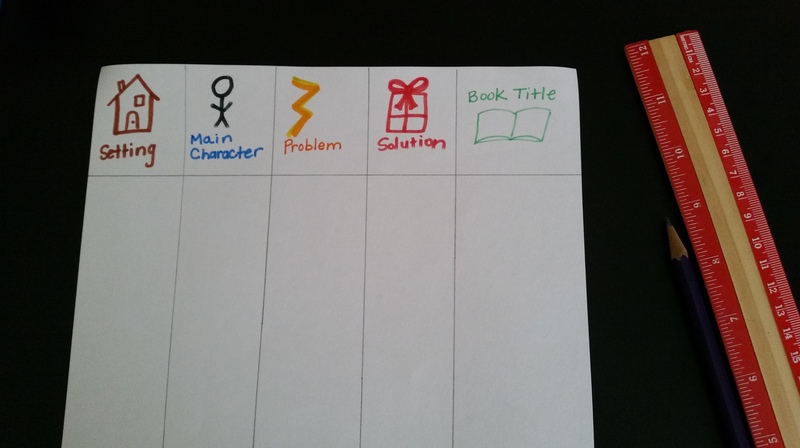 Would try it along with a story mountain, but think your idea makes it clearer for the students what they need to do! Very cool, I’ll have to give this a try, thanks! Let me know how it goes, Marica!